I am a subsistence hunter and resident of Kaktovik, located on the shores of the Arctic Ocean, and the only community found within the boundaries of the Arctic National Wildlife Refuge. I am very concerned about congressional proceedings to open the refuge to oil drilling through the tax bill. Sen. Lisa Murkowski proposes a 50/50 split of revenues from lease sales between the state and federal government. She claims this will raise $1 billion for the federal government to offset tax cuts in the budget bill working its way through Congress. Rep. Don Young has previously stated that he will initiate proceedings to have the state receive 90 percent of the revenues, as per Alaska's Statehood Act. How is it that Murkowski is offering 50 percent of the revenue to the federal government, when our statehood contract indicates otherwise? I have seen no provisions in the current bill language to allow for continued subsistence hunting and protection of subsistence resources as prioritized in the Alaska National Interest Lands Conservation Act. The Gwich'in Nation has passed resolutions opposing refuge development because it would severely affect their subsistence culture. Oil exploration and development would also impact my hunting and fishing, and that of other residents of Kaktovik. Hunting is a large part of our Gwich'in and Inupiat cultures, and to take an action that will adversely affect this can be seen as cultural genocide. Forty-two Interior Alaska villages are in support of the Gwich'in resolutions, as are 14 Bristol Bay tribes and many more across Alaska and the nation. There has been little mention of these interests in the brief debate around this bill. How can Congress overlook our subsistence priority in the Arctic refuge? Sen. Murkowski knows of oil companies — Chevron/Texaco and BP — that have ongoing contractual agreements with Arctic Slope Regional Corp. involving lands within the boundaries of the Arctic refuge, though they are closed to oil and gas exploration and development until Congress decides otherwise. These companies purchased from ASRC subsurface rights to oil on Kaktovik Inupiat corporation lands. The senator has had people associated with these companies testify for oil development before her Senate Energy and Natural Resources committee. These people usually testify as if they represent people of the area. For example, Richard Glenn is on the board of ASRC, which has agreements with the above-mentioned oil companies. He has been listed as an Inupiat from the North Slope testifying for Inupiat people in Washington, D.C. He and others associated with oil companies have no business speaking on behalf of Kaktovik Inupiat community members. They certainly have a right to speak, but it should be made clear who they represent. An organization called Voice of the Arctic Inupiat has been billed as representing the Inupiat. The city of Kaktovik has told them they do not represent our community. Several people from Kaktovik do testify in favor of oil. However, these people do not represent the city government, and they are closely tied to oil companies. 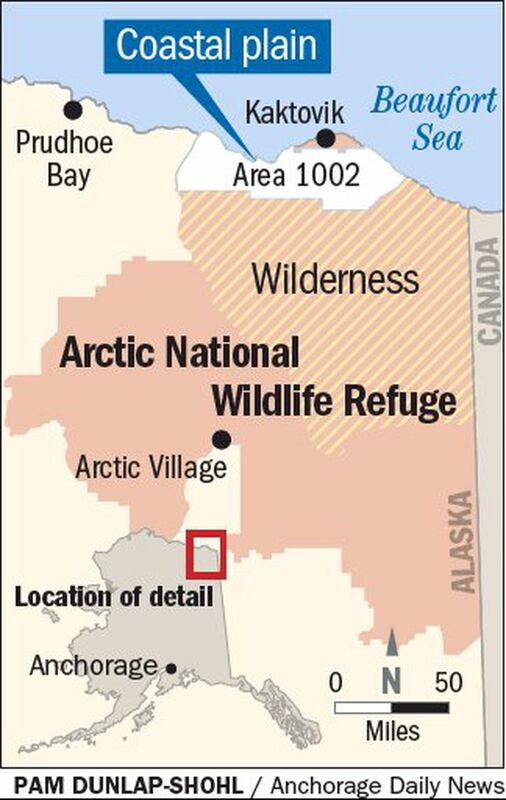 Many problems surround the Arctic refuge drilling provision of the budget bill. A community petition opposing oil development in the Coastal Plain of the Arctic refuge was sent to Sen. Maria Cantwell of Washington state during the Senate debate over the tax bill. This petition was signed by 61 adult residents of Kaktovik, which is a majority of the number who voted in the last election. I hope the petition will be considered by members of Congress, because it is signed by the real people of Kaktovik. Congress should not include Arctic refuge drilling in the current tax reform bill. Robert Thompson lives in Kaktovik, Alaska, and is a guide who owns and operates Kaktovik Arctic Adventures. Robert Thompson is an Inupiaq hunter who lives with his wife in Kaktovik, and runs trips in the refuge through the business he founded and owns, Kaktovik Arctic Adventures. He is a father, grandfather, and great-grandfather.